MGT: Officially open for business! Government’s commitment to efficiently manage information technology (IT) assets. As the leading advocate, several of my colleagues and I attended the Celebrate Modernizing Government Technology (MGT) reception last night on Capitol Hill. 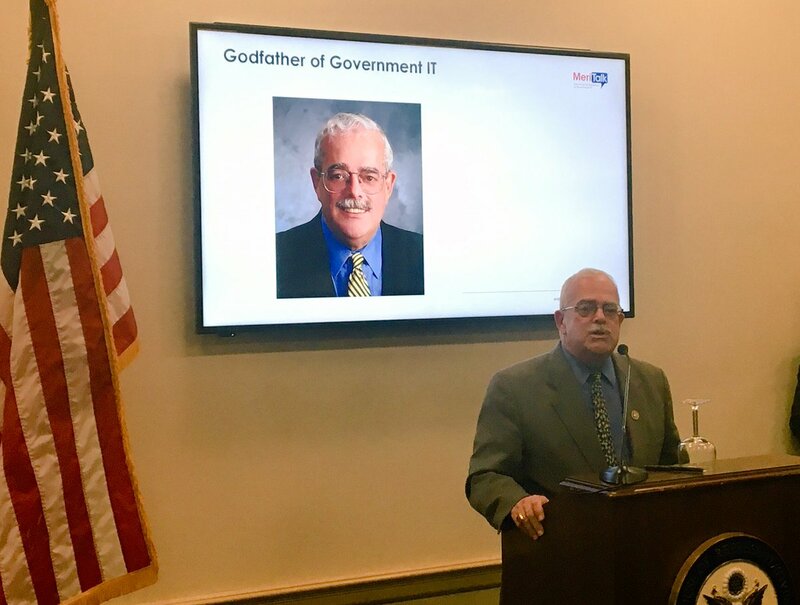 The guest speakers were Congressman Gerry Connolly (D-VA), co-sponsor of the MGT Act, and Maria Roat, CIO at the Small Business Administration. It was a packed room event, and for those of you there, very warm (perhaps due to the excitement). The purpose of the event was to raise a glass to celebrate the passage of MGT and talk about implementation plans. During Congressman Connolly’s comments, he stated that MGT is a sub-set of FITARA and that as of March 1, 2018, Agencies could begin submitting their applications for funds described below. For those still not familiar, the MGT Act is a key component of the Administration’s continued effort to improve Federal technology by providing financial resources and technical expertise to Agencies. The MGT Act will allow Agencies to invest in modem technology solutions to improve service delivery to the public, secure sensitive systems and data, and save taxpayer dollars. The authorization for all CFO Act Agencies to establish IT Working Capital Funds (WCFs). The Technology Modernization Fund earmarks 500 million dollars over the course of the next two fiscal years for governmental projects that strive to innovate in IT and save taxpayer money. SIE Consulting Group supports MGT and believes it complements the work we are doing for Federal Agencies. Our partnership with GSA on SLMS is purposely designed to help any of the 323 Agencies get more value from their existing IT assets while identifying areas for cost and risk reduction. SLMS services include IT Asset Management (ITAM) maturity assessments, pricing and use analysis, as well as baselining inventory against license entitlements. In one recent engagement, we identified over $2.5M in savings from just four software titles. These savings, alongside those that come from MGT, can put Agencies on the path to modernize their IT environments, and if done correctly, significantly reduce the $96B spent each year on IT. To learn more, give SIE Consulting Group a call at 703-253-9267, or visit us at www.SIEConsultingGroup.com.